Don’t let the actions of a drug user or alcoholic destroy your family. There is no simple answer for why people we love become addicted to drugs or alcohol, and do the harmful things they do, just as there is no easy formula for knowing when to shift your primary focus from helping the addict to helping the rest of the family. Having lived on the edges (and sometimes sucked into the vortex) of the drug and alcohol world for over twenty years we know that you can’t love or force an addict into sobriety. If someone in your family is rejecting professional help, or cycling back and forth you have to decide if your marriage, your grandchildren, your other children, or your health will be victims or survivors. Getting to the end zone — a place of peace and happiness requires that you make the hard choices, and do the hard work to get there. 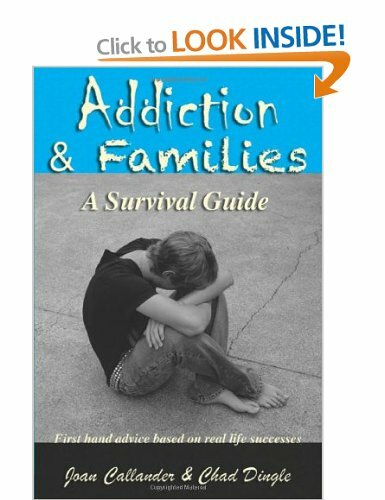 Ultimately it is your choices–not those of the addict–that make the difference. Learn how to work through legal (custody, visitations, criminal charges), financial (lack of support, unpaid bills, new responsibilities), physical (Post Traumatic Stress, ADHD, Fetal Alcohol Syndrome or other genetically inherited or life experience caused problems) and emotional (rejection, embarassment, suicidal thoughts/cutting, guilt and anger) issues and more. Love is the issue in the sense that most people experience guilt over trying to keep their family together no matter what (or kids feeling they need to love a birthparent no matter what) and/or giving up. Add in a few scriptures about Christian love and your heart, head and soul ache. “God always has our backs and yours too if you let him,” says Chad. He wants to help the addict too–so never stop those prayers; God is listening even when the user is not. If any of this sounds familiar please check out our book. Chad and I, along with the other contributing professionals and families, don’t have all the answers but we do understand both the emotions and the day-to-day problems facing families of addicts and alcoholics. You can find this book on Amazon….